Single-hole faucet mount. 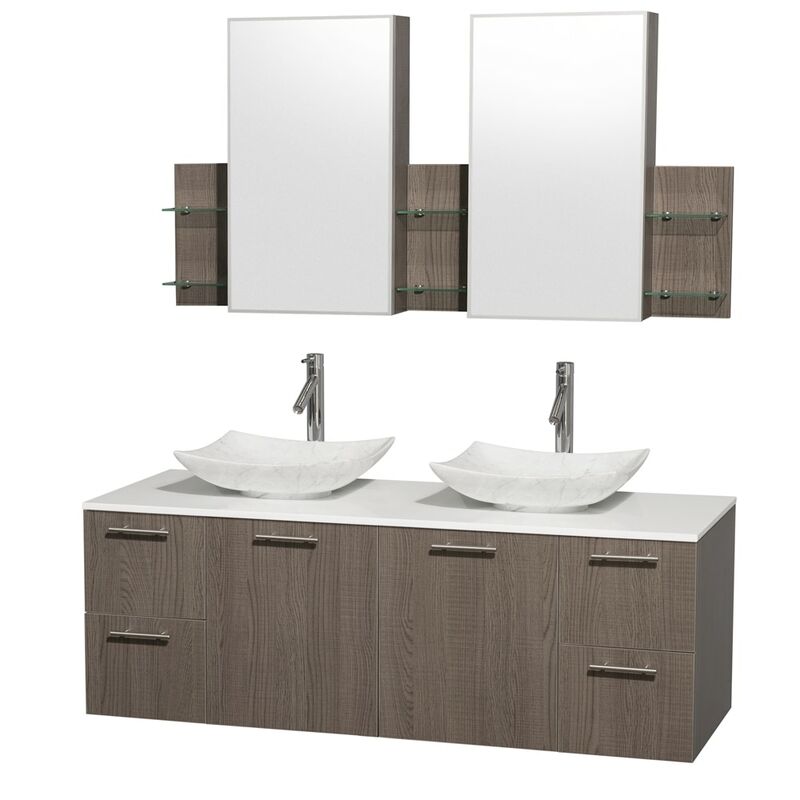 Available with Porcelain, Granite, and Marble vessel sink(s). Faucet(s) not included. Medicine Cabinet Mirror included.